Ornamentals are an important part of your landscape. 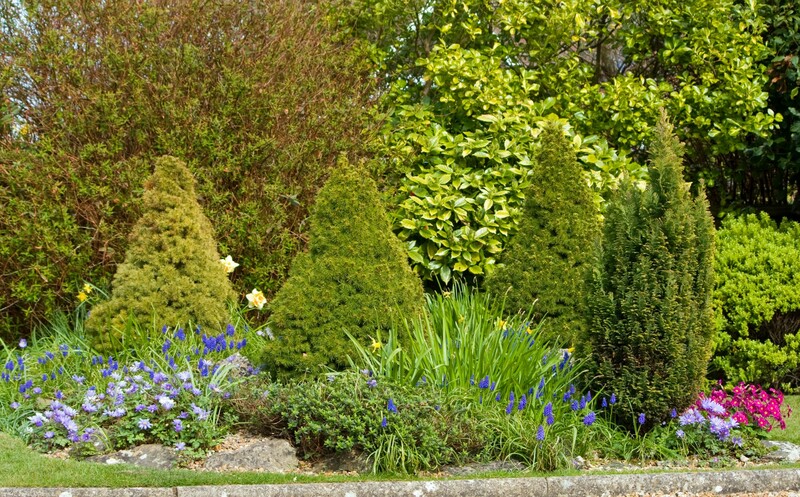 Robust trees and shrubs with full, vibrant foliage, will enhance your property’s worth and curb appeal. Let the tree service Fort Worth specialists at Lawn Concepts work our magic and keep your trees and shrubs looking spectacular all season long! While one can trim and prune trees, shrubs, and hedges, he also needs to fully understand their watering needs, fertilization needs, mulching rules and restrictions, proper safe fertilization interventions and weed/pest control that keep them healthy without endangering the surrounding environment. Why risk damaging your trees (as even an accidental bark cut or crack can lead to severe negative results) when you can let us do the job for you? What Can We Do in Terms of Tree and Shrub Care? We help you keep your ornamentals looking spectacular all season long, contributing to their healthy thriving and optimal protection no matter the varieties you grow. Our tree and shrub program provides 5 treatments per year to fertilize and protect your trees and shrubs. In addition to our second-to-none fertilization program, we also offer insect and disease control to keep outside forces from destroying your beautiful ornamentals. Additionally, we apply a dormant oil protectant on your ornamentals to protect them from insect damage. How Do We Approach Tree and Shrub Care? Soil pH and level of nutrients/need of fertilization. The level of hydration of the soil, water drainage system and need of water of all trees and shrubs. 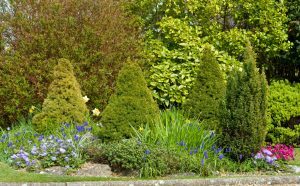 Shady vs. sunny areas where trees and shrubs are planted. Presence/absence of specific climacteric conditions that might negatively impact the vegetation: occurrence of drought, powerful winds, blizzards, frost and so on. Presence/absence of specific weeds and pests that might harm the trees and shrubs in the long term. The variety of each tree and shrub and its specific needs in terms of watering, fertilization, insect control and disease prevention, as some species are more vulnerable than others in the face of some threats. We offer a personalized and tailored intervention program that takes into account all these factors. This is why our loyal customers come back to us one season after the other – we treat trees and shrubs with the utmost attention, being also able to implement organic lawn treatment programs to make sure these true pillars of nature stay healthy and strong year-round. Specialized in horticulture and tree/shrub care, our technicians will give their 110% to build you a lush and healthy landscape with no effort. Trees and shrubs make an important part of our integrated lawn care services, and we treat your property as a micro-ecosystem where each element plays a crucial role in the health and thriving of the other elements. There are many companies who offer similar services, but only Lawn Concepts offers specialized service at an affordable rate with guaranteed satisfaction!